The discussions for both companies include Denso Corporation and Toyota's role in providing Suzuki with technological support for a compact, ultrahigh-efficiency powertrain to be developed by Suzuki. Toyota Motor Corporation and Suzuki Motor Corporation have agreed today to start discussing new joint projects in the fields of technological development, vehicle production, and market development. 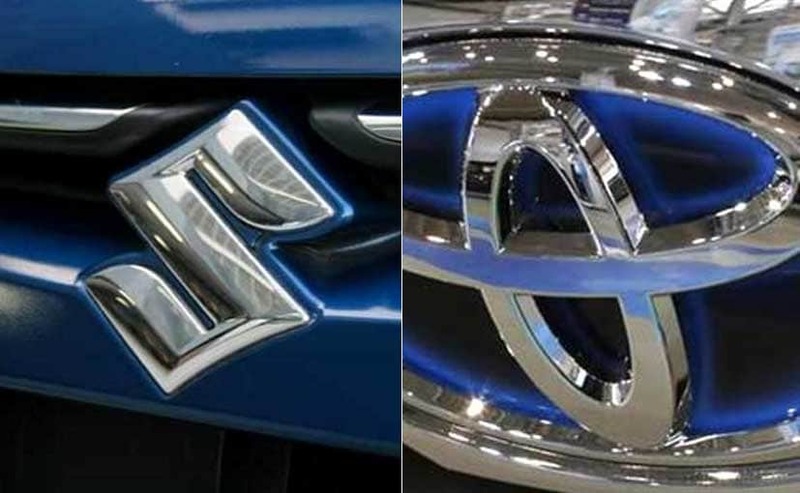 Toyota and Suzuki have been pursuing concrete forms of cooperation and have announced the mutual supply of vehicles for the Indian market and other joint efforts. Meanwhile, the two companies have also been broadening the scope of their partnership and there have been talks which will see joint efforts related to production and market development. The discussions on the table for both companies include Denso Corporation and Toyota's role in providing Suzuki with technological support for a compact, ultrahigh-efficiency powertrain to be developed by Suzuki. Toyota Kirloskar producing models developed by Suzuki for sale in India through each of the Toyota and Suzuki brand network. Another topic of discussion is the supply of models developed by Suzuki, including those to be produced by TKM (as mentioned above), from India to African and other markets by Toyota and Suzuki, employing each of the Toyota and Suzuki sales networks to sell such vehicles, and advancing cooperation in the domains of logistics and services. Toyota President, Akio Toyoda said , "Suzuki was the first (among Japanese companies) to enter India, and, together with the people of India, has been a presence for pulling forward India's automotive society. As members of Indian society, Toyota, along with Suzuki, will do its best to enhance freedom and fun in a future society of mobility and to make "Make in India" vehicles cherished in Africa and in many other countries around the world. Through our business partnership with Suzuki, I would like to learn more about this spirit. Suzuki Chairman Osamu Suzuki said, "At the time we announced the partnership, I said: 'Under the leadership of President Akio Toyoda, Toyota was enthusiastic throughout our discussions regarding partnership sought by Suzuki, which was concerned about the development of advanced technologies. I want to express my heartfelt appreciation. Immediately afterwards, Toyota arranged a series of intensive and meaningful discussions. Now, we will receive support for the development of a compact, ultrahigh-efficiency powertrain that is vital to Suzuki, and we will focus our utmost efforts on development. It is my hope that the new joint projects will contribute to the future success of both companies, not only in India, but also in the global market"